'Kimmer, I don't have any pictures of myself at my highest weight. I just purchased a camera for my dd (for Christmas) so I will have her take my picture after she opens it and will submit them after the holidays...I guess the best way for me is to do it from the 1st of January on...if that is ok with you. I've not told my family what I want to do yet, how they react will determine if I actually put my picture there (young dd who I would never want to embarass). Thank you for allowing me to have such a special place on this board...I'm so excited. I feel good. I look forward to getting back to work tomorrow and back to the gym (I have a membership at work, they give us an additional 30 minutes at lunch to exercise). How she is going to eat like this and exercise is beyond me." That's horrible, this is the kind of stuff that I didn't know was going on before I quit the site. Tea for breakfast? Hello, the term break-fast says it all. Can someone that is not banned get to that person and tell her to eat!!!? Her heart muscle is dying...I cannot get back in to tell her...very distressing. I wonder how long she can go on? Scary stuff. Before I left I read some posts like these but they were old. No one was posting /admitting to anything this drastic..."
This woman is going to die if she keeps her calories this low. There's no doubt about it. If you have access to the Kimkins website, PLEASE tell this woman that her calories are TOO LOW, and that she's heading down that deadly path to starvation and eventual death. MJR provided an update on LCF, as well as leaving a comment on this blog post, as to what this woman actually ate today. "Earlier I posted a copy of a post found at kk in regards to a potential new front page success story for the site. It was to show what she is posting about her daily menu. She has since posted what she actually ate today and it is even worse than she predicted earlier. She didn't even stick to her original plan for lunch & dinner. lunch/dinner I made a pot full of pork neckbones...I separated the meat from the bones and measured out 2 cups even...they were cooked in water and vinegar only. I plugged in several different measurements into fitday and felt that 2 cups 585 calories; 0 carbs was all I wanted to eat. The great thing about this is that the vinegar really helps to fill me up so I was not in the least hungry. So for today I drank tea and Sugar Free Orange Ade (Tropicana) and my neckbones...I'm really in the zone now...this has been the best day yetunder 600 calories and 0 carbs! "This is the kind of thing that could kill someone trying to follow this way of eating. Makes me sick! This is why I stay here and continue this fight. Not to hurt anyones feelings.... or to make anyone uncomfortable.... only to let others know how dangerous this woman and her site is. And to try and help bring her down. oh, and for the record, Kimmer posted 2 times following the first menu post and never mentioned anything about how low her calories are. She said nothing about keeping the calories above 800. Her comment was that she would try and keep the front page spot open until Jan 1 but needed to check with her tech guy first." Thanks SO much, MJR, for the update. Kimmer, if you read this post, do the right thing and tell this woman she's starving herself to death. It truly is sad to think that this person will be an example on the front page of the website as how to do the Kimkins diet. But this is what the diet has been all along and this just shows that TT or Kimmer can make some CYA statement of "Eat at least 800 calories a day". But Kimkins was founded on very low calories/starvation and as long as KK is around; so will be these type of daily menus like this member posted. Thank you, HoneyBee, for your very sage comments. I hope that someone on the inside of Kimkins encourages this woman, and any others who are starving themselves, to eat more. Kimkins is a VLCd, and the mantra seems to be "How low can you go?" What the heck is that? Like 250 to 300 calories for the whole day? If Kimmer doesn't slap her down for eating too little, she shows her true colors--again. "This poor Kimkinite" is a sobering reminder of the reason we're all here, fighting the good fight against Kimmer & the klones. The jaws that bite, the claws that catch -- the greedy starvation-mongering jabberwockies that kill. She didn't even stick to her original plan for lunch & dinner. under 600 calories and 0 carbs! Time for the domino's to begin falling! This is the kind of thing that could kill someone trying to follow this way of eating. Makes me sick! Thank you, Bob & Doug, and Princess for your comments. Well said. This woman needs help desperately. 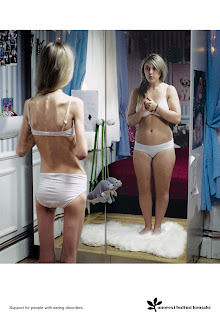 She is starving herself. And MJR, thanks SO much for the update. I can't believe what she ate today. Neckbones? I think I'm going to be sick. If you wouldn't mind, would you please keep me updated on what she's eating? I think another blog post may be in order. Again, thanks so much for taking the time to post your comment. I really appreciate it. I’m actually shocked that Kimmer didn’t criticize the choice of pork, and suggest chicken breasts, or throwing away the meat, chilling the broth to skim off the fat, then just eating the broth. There’s something really creepy about the tea mentioned in her menu. I can’t figure out how to say it. Something about how she says it was a huge mug, with plenty of hot water, and one tea bag. Can anyone see what I’m trying to say and help me say it? Very ana sounding to me. Kimmer is going to let this woman starve herself, put her on the front page of the site, when she herself is just a big fraud who never successfully lost weight, lied about her identity, etc. She even lied about her lies. I hope she rots. This is why I intend to fight Heidi with every ounce of my being until Kimkins.com is shut down. Thank you, ohyeahbabe, 2big, and bamagal for your comments. The death knell of Kimkins is long overdue.